The pioneering windpipe transplant carried out by Spanish doctors was almost scuppered by the low-cost airline Easyjet, the BBC has learned. The crucial stem cells involved in the transplant had been grown in a Bristol lab, but had to be flown to Barcelona. The airline had said it would carry the cells, but on the day check-in staff refused, leading medics to charter a private jet for £14,000. Easyjet said it had no record of the request, but would refund the doctors. In the world first, doctors were able to grow an artificial windpipe - or trachea - in the lab, which was then used to treat 30-year-old mother-of-two Claudia Castillo, whose airways had been damaged by tuberculosis. But the work to prepare for the transplant involved international collaboration. There was a 16-hour window in which the cells had to be transported from the Bristol lab to Barcelona after which they would have been un-usable. But Professor Anthony Hollander, one of the scientists involved, added: "Check-in staff said that they couldn't take the material on board and that it could have been some kind of dangerous material. "After significant debate, it was concluded that it wasn't going to happen." A German medical student, Philip Jungerbluth, was due to accompany the cells on their flight, and it was he who saved the day. Professor Martin Birchall, one of the lead researchers, had had several conversations with the airline up to hours before the flight, in which he was told it could carry the cells. He said: "The clock was ticking. We'd taken the cells out of their culture media an hour before. "We thought about driving to Barcelona, but that would have taken too long. "Philip knew a German surgeon who he said used to fly. "We had a couple of conversations, and within two hours the surgeon was in Bristol - with his private jet." 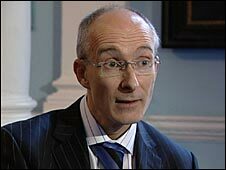 Professor Birchall had to pay for the flight out of his own pocket, though the cost was later reimbursed by Bristol University. 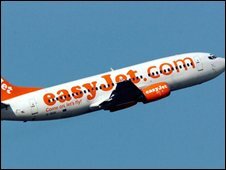 He said he had e-mailed Easyjet, and written to its chief executive and chairman following the incident, but had not received a satisfactory response. Professor Birchall said the whole operation had been under threat. "If we hadn't been able to get the cells there, we would have wasted years of work and this major breakthrough for surgery and science wouldn't have taken place." "In a very short space of time we arranged for a thoracic surgeon from Germany who we know flies planes to come to Bristol and pick up the cells and a scientist and take them to Barcelona - at some considerable cost." In a statement, Easyjet told the BBC: "We do not have any record of the passenger's request to carry medical materials on board the flight. "However as a gesture of goodwill Easyjet has refunded the passenger for the cost of his flight."